This piece was a custom order for a dog breeder. 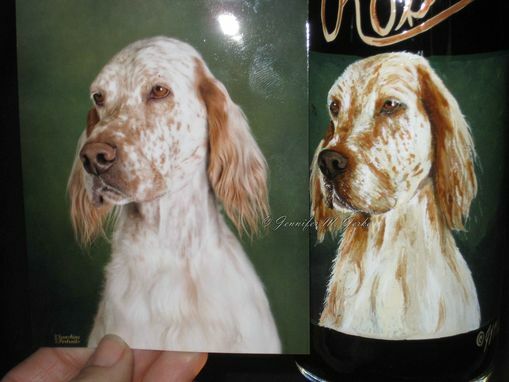 Portrait was painted on a wine bottle but can be placed on any type of glass. Paint is a lead free lettering enamel that is used in many applications and when placed on a glass it will be baked at high temps for durability and years of use. 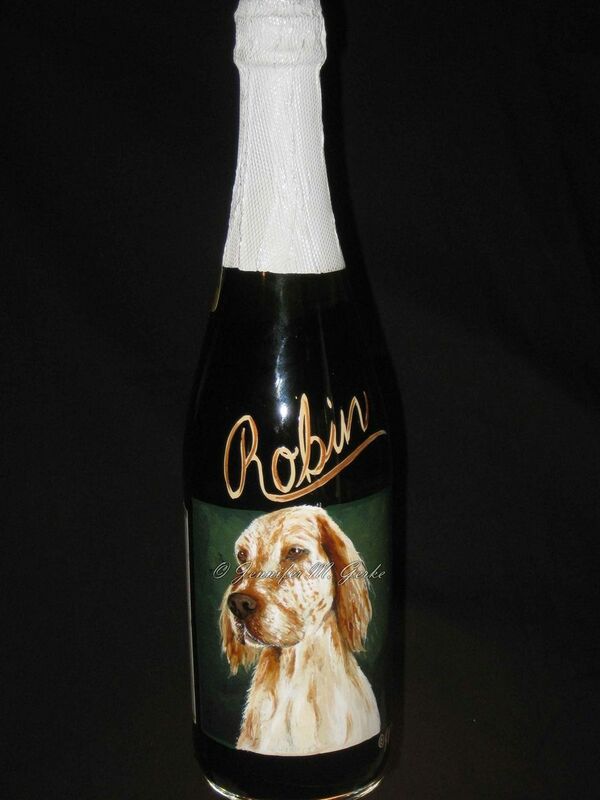 Paint placed on bottles and vases are still very durable even though they are not baked. Custom work can be displayed as a work of art, given as a gift or used for everyday purposes.